When I first met Jamie Kutch at Kosta Browne Winery in May 2005, he was a greenhorn winemaker learning the craft at the side of Michael Browne who was fashioning his wines in a section of the caves at Freeman Winery in Sebastopol. Jamie’s story is a familiar yarn, played out many times in the last decade by currently successful winemakers such as George Levkoff (a former bond trader who is the owner and winemaker at George Wines), Thomas Rivers Brown (an English literature major at University of Virginia and now owner and winemaker at Rivers-Marie), and Thomas Houseman (a former professional modern dancer who is now the winemaker at Annie Amie in Oregon). These individuals are but a sampling of those who left behind a different life to pursue Pinot Noir winemaking. In early 2005, I received a curious e-mail from a PinotFile reader in New York who related to me that he had spent the better part of a week staying awake until 3:00 AM reading past issues. He went on to tell me he had learned an enormous amount about Pinot Noir and wouldn’t stop until he had read every issue. My ears perked up when he told me he was leaving his career on Wall Street to make Pinot Noir in the Russian River Valley. In 2003, while at home after a day at work on Wall Street, he was surfing the eRobertParker Bulletin Board and fortuitously stumbled upon Andrew Vingiello. Andrew also worked for a Wall Street firm, but on the West Coast. He told Jamie he was mentoring under winemaker Brian Loring at night and making his first vintage of Pinot Noir under his new label, A.P. Vin. The two communicated by e-mail and eventually Andrew sent Jamie a barrel sample of his wine which impressed at a New York wine tasting along side other California Pinot Noirs. Jamie was now really hooked and realized that Andrew was living HIS dream. Both Brian and Andrew urged Jamie to experience harvest and “get his hands dirty.” He was reluctant to leave behind his cadre of family and friends in New York and his girlfriend of eight years. It just did not seem possible until he met Michael Browne. Michael also offered to help make Jamie’s dream a reality. 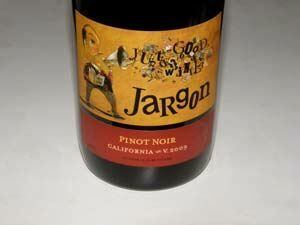 He told him he would mentor him in crafting 125 cases of Pinot Noir under Jamie’s own label. Flushed with excitement, Jamie immediately quit his job in New York City, talked his girlfriend, Kristen Green, who had a good job at a public relations firm in New York, into joining him, and moved to San Francisco. Under Michael Browne’s tutelage, Jamie, 30 years old at the time, produced a 2005 Russian River Valley Pinot Noir from Amber Ridge and Demeo vineyards under his new Kutch Wines label. When his wine chat friends on Robert Parker’s Board found out about his new venture, he immediately had a mailing list of over 400 customers. As I previously wrote in a feature titled, “Love Among the Must” (Volume 5, Issue 9), Jamie proposed to Kristen at Kosta Browne Winery during harvest. He hatched a plot to deliver her engagement ring to her on the sorting table. The plan was that Jamie would propose to Kristen after a helper sent the diamond ring down the hopper on the last bin of the day. Jamie was nervously sorting grapes from Koplen Vineyard next to Kristen, and recalled their discussion earlier in the day about the unusual items found while sorting grapes such as a band aid, tomato worms, picker’s knives, and eyeglasses. As the last fruit was dumped and the box containing the diamond ring dropped onto the table, Kristen reached for the box and after opening it, said, “Anyone want a box with a.......diamond ring in it?” It did not register right away with her and that was when Jamie grabbed the box from her hand, got down on one knee, and proposed. Her choking reply was, “Get the f#%$ out of here. She then said, “Yes!” and everyone began celebrating with Champagne. That evening, the newly committed couple cleaned up, traveled to Healdsburg and spent the night at the Healdsburg Hotel after dining at Dry Creek Kitchen, with, of course, a bottle of Kosta Browne Pinot Noir. Jamie crafted two Pinot Noirs and a Pinot Noir Rosé from the 2006 vintage: a Sonoma Coast Rosé, a Russian River Valley appellation blend and a vineyard-designate from McDougall Ranch Vineyard in the Sonoma Coast. He moved his production base to Deerfield Ranch Winery in Sonoma Valley where Michael Browne first gained his winemaking experience under managing partner Robert Rex. Relying on his own resources and a loan from his father, Jamie became an independent producer with no investors or employees. 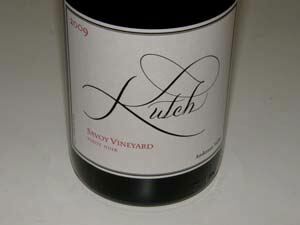 It wasn’t long before James Laube of the Wine Spectator found Kutch wines on his radar, and considerable national publicity for the wines ensued. The first vintages were decent but not riveting to me and this was understandable as Jamie had no formal winemaking experience. He was a quick learner, however, and eagerly sought out the advice of many well-known Pinot Noir winemakers. In addition, he knew early on the importance of obtaining premium vineyard sources for his wines and sought out cool climate sites ideal for Pinot Noir. 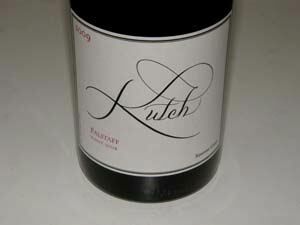 His dedication has paid off with the release of the stellar 2009 lineup of Kutch Pinot Noirs. Although Michael Browne was his first mentor, Jamie has quickly veered from the Kosta Browne style of Pinot Noir and developed his own approach that reflects the type of Pinot Noir he now prefers to drink. He has chosen Burgundy as his model, not trying to make Burgundy per se, but attempting “to resemble their fruit profile, ripeness level, intensity level, and acid and tannin levels.” Jamie has traveled to Burgundy three times and his experience has taught him “we aren’t that different.” He is consuming all the Burgundy he can get his hands on to enable himself to make vinification choices that more closely resemble Burgundy. 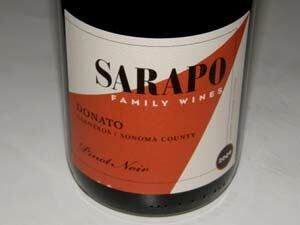 His ultimate goal is food-friendly Pinot Noir that is also age worthy. Jamie prefers to pick earlier, striving for phenolic maturity at lower Brix and resulting alcohol, and seeking more acidity. He uses some whole cluster in select bottlings to provide structure and age ability. Fermentations are done using indigenous yeast with minimal acid adjustments and no addition of color enhancing agents. All punch downs are done by hand. All ferments are in small lots and only free-run juice is used for Kutch wines. The wines are aged in 4-year air-dried, tight-grain Francois Frères oak barrels sur lie for about 18 months, and racked only when ready to bottle. The wines are unfined and unfiltered. 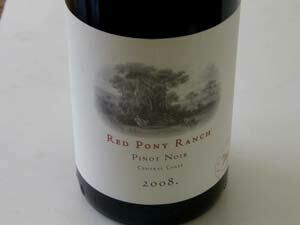 The resulting Pinot Noirs are moderately rich with ripe flavors and commendable balance and charm. The 2009 Anderson Valley and Sonoma Coast appellation blends are forward and ready for consumption now, while the single vineyard Pinot Noirs, although approachable now with decanting, need a few years in the cellar for full enjoyment, and have the potential for significant aging. I can heartily recommend the entire lineup. Jamie has called his 2009 wines “my best vintage ever,” and the McDougall Ranch Pinot Noir “the greatest wine I have ever produced.” Jamie goes on to say, “The McDougall Ranch Pinot Noir should easily see it’s 25th birthday!” Jamie noted that Domaine Dujac’s winemaker, Jeremy Seysses, tasted the 2009 McDougall Ranch Pinot Noir and remarked on Twitter, “09 Kutch: One of the more exciting US pinots I’ve had in a long time. Nice tannins, going places. Real sense of direction.” The Falstaff and McDougall bottlings are slated for a fall 2011 release. The Falstaff and Savoy bottlings are the first from Kutch. 95% of Kutch wines are sold directly through a mailing list at www.kutchwines.com. 917-270-8180. Total production is 1,250 cases, with 800 cases of press wine bulked out to maintain quality of the wines offered. Jamie does not offer the wines for tasting at large Pinot Noir events, believing that serious appreciation of the wines is not possible under these circumstances. Smaller tastings are offered, such as one recently held at the Ferry Plaza Wine Merchant in early May. 13.8% alc., 264 cases, $39. Sourced from Deer Meadow Vineyard. Clones 114, 115, 777 grown organically. Yield 1.5 tons per acre. 100% de-stemmed, native fermentations, aged 18 months sur lie in 30% new French oak barrels. Unfined and unfiltered. · Moderately dark reddishpurple hue in the glass. Forward and effusive aromas of black cherries and wild berries initially, that fade a bit over time in the glass. Delicious core of vivid black cherry, black raspberry, and spiced plum fruit with restrained oak and tannins, offering a pleasing, but short finish. 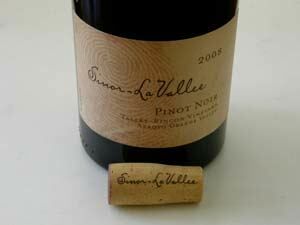 A very forward drinking wine that is a credible representation of Anderson Valley Pinot Noir. Good (+). 13.9% alc., 288 cases, $39. Sourced from Sonoma Stage, Nobles and La Jons vineyards and includes a diversity of suitcase clones. 100% de-stemmed, native fermentations, aged 18 months sur lie in 30% new French oak barrels. Unfined and unfiltered. · Moderately dark reddish-purple color in the glass. A pleasing melange of berry aromas with a hint of oak. Tasty mix of red and black berry fruit with complimentary spice. Soft in the mouth with a healthy tannic backbone and restrained oak influences. Lacks nuance and acid zing, but provides a solid drinking experience. Good. 13.1% alc., 168 cases, $48. Heirloom clones grown biodynamically. Yield .75 ton per acre. 20% whole cluster, native fermentations, aged sur lie 18 months in 50% new French oak barrels. Unfined and unfiltered. · Moderately dark reddish-purple color in the glass. 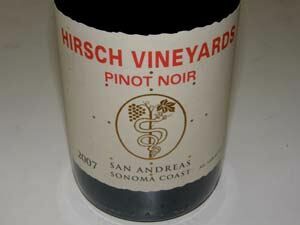 Complex nose offering scents of black cherries, plums, spices including clove, and a curious note of prickly pear. This impressive wine offers a vivid and generous core of dark red and black berries and cherries with supporting smoky oak, and appealing spice and loamy earth notes. The fruit is front and center but the wine’s appeal is augmented by a very silky mouth feel, restrained but firm tannins, and bright acidity on an explosive finish which seems to last for 30 seconds. The wine drank nicely the following day from a previously opened and re-corked bottle. Needs several years in the cellar for full enjoyment. Very good. 13.9% alc., 288 cases, $48. Clone 114 planted in 1998 at 935 feet elevation, two ridges in from the Pacific Ocean. Yield 1.8 tons per acre. 50% whole cluster, native fermentations, aged 18 months in 50% new French oak barrels. Unfined and unfiltered. · Moderately deep reddish-purple color in the glass. The nose opens over time in the glass offering a lovely mix of scents of darker raspberries and cherries, spice, underbrush and even violets. A delicious and hearty mixed berry core is enhanced by notes of spice and cured meat. The fruit is largely buried by the imposing, ripe tannins but this should resolve with several years in the bottle. This wine has the most tannin in the Kutch lineup, but also possesses the most seductive fruit. The wine offers an unmistakable sense of terroir. Still fine, but closed, the following day from a previously opened and re-corked bottle. Don’t even think about drinking this connoisseur's wine for seven to ten years. 13.8% alc., 264 cases, $48. Clones 667, 777, 114 and Pommard. 100% destemmed, native fermentations, aged 18 months sur lie in 100% neutral French oak barrels. Unfined and unfiltered. · Moderately dark reddish-purple color in the glass. Subdued aromas of black fruits, forest floor, vanilla and graham. A silky body of earthy, spicy boysenberry and plum brings the mid palate to attention. Impressive persistence of fruit flavors on the generous finish. Beautifully balanced with lively acidity, ripe tannins and moderately rich fruit flavors acting in harmony. The pedigree of the fruit really comes through. Still great the next day from a previously opened and re-corked bottle. Will definitely benefit from a few years in the cellar, but can be approached now with decanting. A wine to contemplate. The Sinor-LaVallee wines are a world apart from those of Kutch which were reviewed in the previous article. Although owner Mike Sinor uses the Burgundy model of finding specific rows of vineyards with world class terroir, and contracting for those rows to make site-specific wines, and, like Kutch, has traveled to France and studied the vineyards and wineries of Burgundy, Mike’s Sinor-LaVallee wines are California in style through and through. 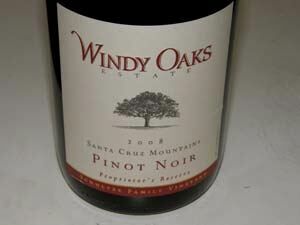 As Mike notes, “In the cellar we like to take chances and occasionally push the envelope, which is the only way we know how to produce memorable wines.” The Pinot Noirs are macho, with robust, concentrated, and succulent flavors, moderately high alcohols, yet are engaging, evocative, and friendly in the mouth. Sinor-Lavallee was founded in 1997 by Mike Sinor and Cheri LaVallee Sinor in 1997. They first met as students at Cal Poly San Luis Obispo in 1993, and were married in Beaune, in the heart of Burgundy in 1996. The Sinor-LaVallee labels feature the thumbprints of family members. On the front label, Mike’s is on the right and Cheri’s is on the left. The fingerprints of children Tomas and Esmée are on the back label. Mike began his wine career while searching for a way to pay for college in 1991. 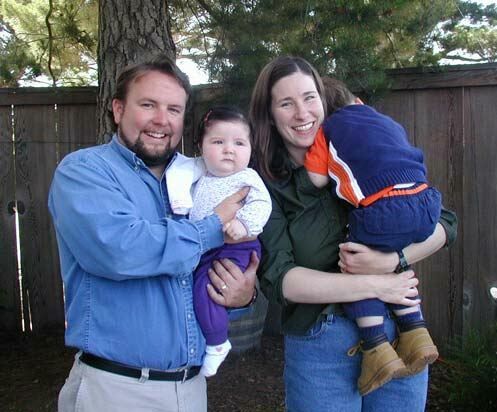 He worked at Corbett Canyon Vineyards, located near to Cal Poly, and soon added several Edna Valley wineries to his employment resume. 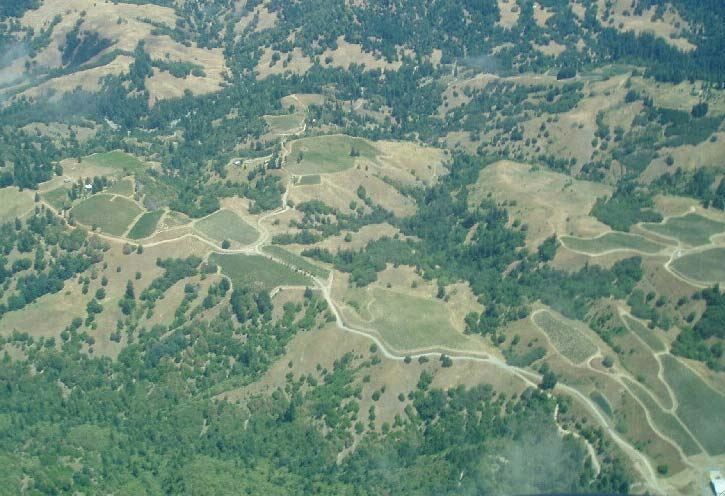 You probably remember those infamous Corbett Canyon commercials of the past featuring the echo, “Canyon, canyon, canyon.” Corbett Canyon, founded in 1978, was one of the first wineries in the Edna Valley, but has changed ownership several times through the years. Today, it is owned by Rob Rossi, and is a custom crush facility (SLO Winemaker’s Studio) where Sinor produces his Sinor-LaVallee wines. 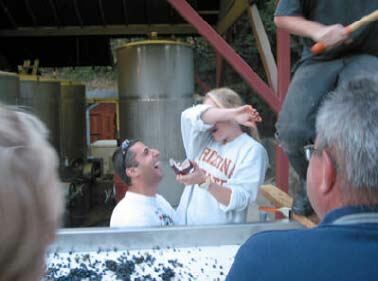 During the 1993 vintage, Mike took a leave from school to work full-time at Saucelito Canyon Winery. After graduating from Cal Poly in 1994, he joined Byron Vineyard and Winery and quickly became winemaker Ken Brown’s assistant. Mike left Byron after the 2000 harvest to assume the role of winemaker at Domaine Alfred Winery in San Luis Obispo. At Domaine Alfred he also supervised the biodynamic farming of 130 acres of vineyards. After producing five vintages of highly rated Pinot Noir and Chardonnay at Domaine Alfred, he departed to concentrate full time on his two projects: Sinor-LaVallee (Pinot Noir and Syrah) and Ancient Peaks (wines from Margarita Vineyard near Paso Robles and Corbett Vineyard in Edna Valley including Sauvignon Blanc, Cabernet Sauvignon, Malbec, Merlot, Petit Verdot and Zinfandel). 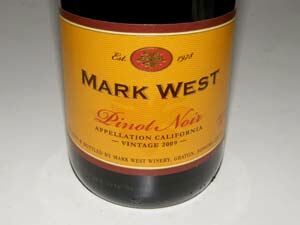 Mike is one of the founding board members of the World of Pinot Noir held each year in Shell Beach, California. He is ever present at this prestigious event, but not always easily recognizable, sometimes sporting long hair and a beard, and other times close shaven with short hair. You never know what you will see at harvest, as Mike takes on a different persona each year and has been known to even sport a mohawk haircut. Four Pinot Noirs are now released under the Sinor-LaVallee label: a San Luis Obispo Central Coast blend, vineyard designates from Talley-Rincon and Aubaine vineyards, and a special Anniversary Cuvée. A small amount of Syrah from Luna Matta Vineyard is also produced. The wines are sold online through the winery’s store, through a mailing list at www.sinorlavallee.com, and limited retail distribution. Total production is about 500 cases. There is something for everyone in this lineup from the forward drinking San Luis Obispo bottling to the complex and haunting Anniversary Cuvée with years of life ahead. Prices are sensible. 14.9% alc., 98 cases, $25. Sourced from 1 acre of this vineyard planted to clone 174. Mike emphasizes that the power in this wine comes from leanness and structure without overt jammy fruit that is often found in Paso Robles Syrah. · Deep, dark purple color in the glass. Lovely perfume of fresh blackberries, black currants, dried plums and oak cask. Layered flavors of plum sauce, dark berries, anise and sassafras. A big-boned wine with a prodigious tannic backbone and an intensely fruity ending that finishes dry and clean. Very good. 14.0% alc., 133 cases, $29. Vineyard sources vary from year to year as Mike searches for the next vineyard designate. · Moderate reddish-purple hue in the glass. Explosive aromas of cherries, strawberries, cola and cardamom spice. Very tasty core of dark red cherries and berries with subtle oak, cola, chocolate and spice in the background. 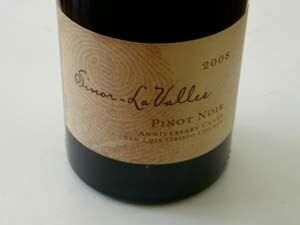 Lighter in intensity than the other 2008 Sinor-LaVallee Pinot Noirs, but thoroughly satisfying. With supple tannins and impeccable balance, this wine makes a terrific daily drinker and one to buy by the case. Very good. 14.9% alc., 148 cases, $40. 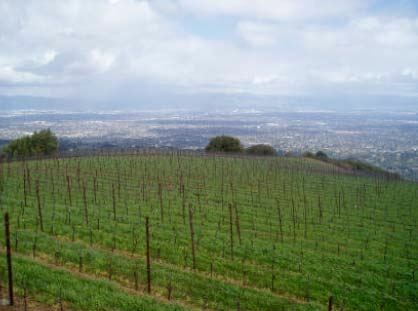 This 14-acre vineyard is located just off Highway 101 between the towns of Arroyo Grande and Nipomo. Clones 667 and 777. · Moderately dark reddish-purple color in the glass. Scent of moss, crushed rock, earth, oak and cut flowers, with modest fruit aroma. 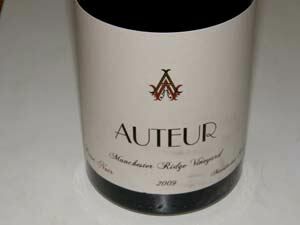 Intense and powerful flavors of red and black fruits with hints of anise, prune and grilled mushrooms. Nicely corralled and not as rugged and daunting as this vineyard is prone to be, with well proportioned tannins and a lengthy finish. Picks up interest and charm over time in the glass. 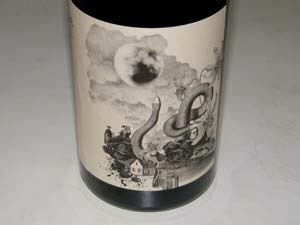 A distinctive and unusual bottling that abounds with character and is very site-specific. Very good. 14.8% alc., 73 cases, $40. From a 1-acre block consisting of 14 rows planted to clone 2A. Yield was .73 tons per acre. · Dark reddish-purple color in the glass. Aromas of black fruits, toasted oak and bark. Intense and savory flavors of very ripe dark fruit including spiced black plums and black currants. The fruit is clothed in firm but slippery tannins and there is well-honed balancing acidity. Soft in the mouth and relatively suave, but rather fruit-driven and linear at this stage. May deliver more nuance with time in the bottle. Good. 14.3% alc., 49 cases, $50. This bottling celebrates Mike and Cheri’s marriage in Burgundy in 1996 and is 100% whole cluster. 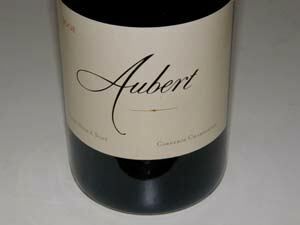 The wine combines Talley-Rincon and Aubaine fruit. Mike calls it his “wild child,” because it is made with indigenous yeast fermentation and natural MLF. Only produced in vintages that warrant it. · The lightest in color in the lineup, sporting a moderate ruby-red hue. Lovely aromas of fresh strawberries, raspberries and exotic woods. More red-fruited and elegant than the vineyard designates, yet packed with flavorful delicately spiced red berry flavor. Seamless, with plenty of sparkle and spirit and a memorable finish with impressive length. Still very appealing the following day from a previously opened and re-corked bottle. About as perfect as it gets. Tom and Deb Mortimer are transplants from Minnesota who acquired a never-before-cultivated 28-acre hillside property on the southern tip of Parrett Mountain in the Dundee Hills near Newberg, Oregon in 1996. 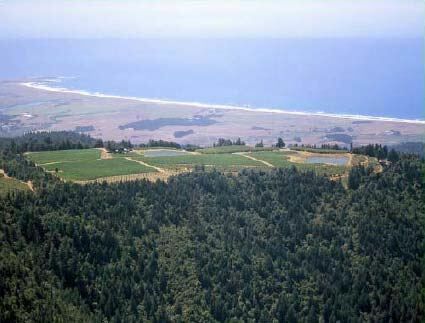 A 17-acre, moderately high elevation (610’-725’) vineyard was developed and planted with a singular focus on growing distinctive estate Le Cadeau Pinot Noir. Le Cadeau translates as “the gift” in French. The vineyard is known as the rockiest vineyard in Oregon. It took a team of track-hoes, D-8 Cats, and tractors more than two years just to clear the raw land. Tom, who is a Burgundy freak, feels the effort and cost was well worth it. 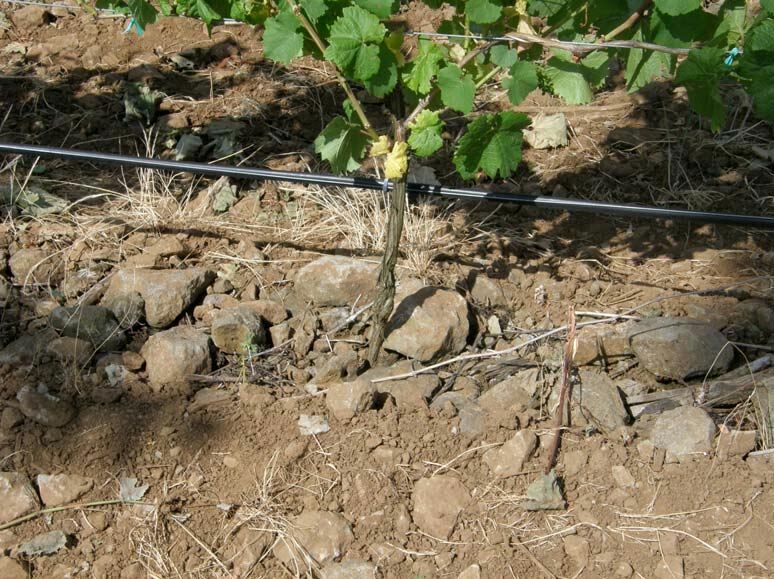 The advantage of planting Pinot Noir vines in this rocky volcanic soil is that this soil type promotes drainage, regulates temperatures of the vines, and reduces vine vigor. 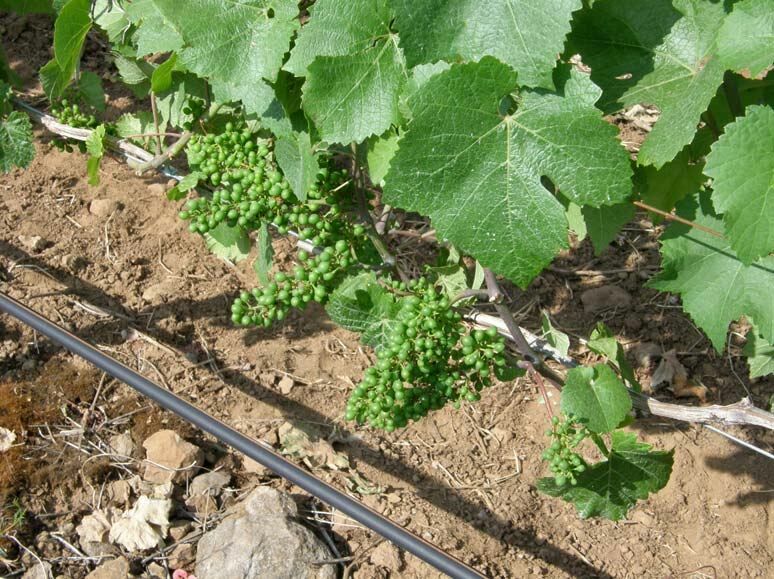 The result is small fruit clusters with tiny berries that potentially can lead to rich, fragrant wines. I visited the Mortimers at Le Cadeau Vineyard after the 2010 International Pinot Noir Celebration. They related their story to me. 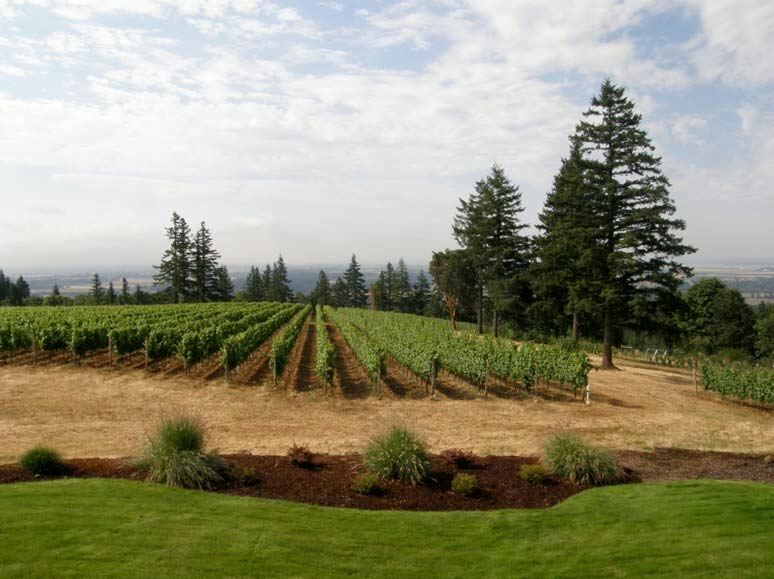 The first 6 acres of Pinot Noir were planted in the spring of 1999: 1.75 acres each of Pommard and Dijon 667 and 777, and .75 acres of Mariafeld, Pommard and 777, 113 and 115 in another east-facing area of the property. This .75-acre site became a rootstock test site, planted with different clones on various rootstocks. By 2000, viticulturist Buddy Beck, who had worked at Domaine Drouhin Oregon for many years, and his associate, Angel Martinez, took over the vineyard management and remain in charge today. 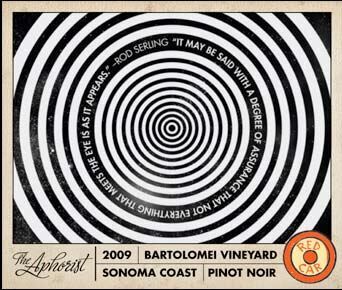 The project turned out to be very expensive and was dubbed “The Black Hole Vineyard” by Deb Mortimer. The first wine from the property came in 2002 and was released in 2005, eight years and four months after purchase of the property. Encouraged by the character of this wine, an additional 4 acres of Pinot Noir, clones 114 and 115, were added bringing total vineyard acreage to 10 acres. 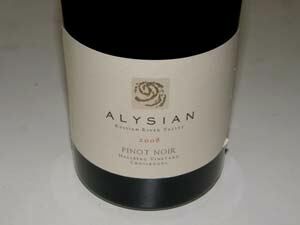 1,200 cases of Pinot Noir followed in 2006, but critical acclaim spurred on further planting. An additional 5 acres was planted that year, consisting of several additions to existing plantings using various clones including 114, 777, 667 and Pommard. 1.5 acres were added in the fall of 2008, including heritage clones such as certified Swan clone, likely the first certified Swan clone (UCD 97) to be planted in Oregon. Some inter-planting has been done as well. As I walked the vineyard, I was overwhelmed by the dizzying number of rootstocks, clones, spacing, and exposures. One thing was consistent: rocks were visible on the surface everywhere. The entire 17-acre vineyard (1 acre of which is on neighboring property but is farmed by Mortimer) will be in full production by 2012 and it is expected that Le Cadeau will be producing just over 2,000 cases of Pinot Noir annually. Noted viticulturist, Daniel Roberts, has consulted in recent years and there has been a concerted emphasis on shoot positioning. Tom made an unusual decision at the onset to use several consulting winemakers for each of the Le Cadeau Pinot Noir cuvées and the wines are vinified at each of the winemaker’s respective facilities. A complete listing of winemakers by cuvée is on the web site. I personally do not agree with this approach as it is difficult to get your arms around the five different cuvées representing different parts of the vineyard, different clones, and various winemaking styles, whose character varies considerably. The result is a puzzling array of wines without a Le Cadeau signature that can be recognized by most consumers and even connoisseurs. For the 2008 vintage, the wines include Côte Est (winemaker Steve Ryan, a former winemaker at Martinelli in California and now located in Hopland), Diversité (winemaker Scott Shull of Raptor Ridge), Équinoxe (winemaker Jim Sanders who trained under Mike Etzel at Beaux Freres), Rocheux (winemaker Jacqueline Yoakim of Keller Estate in California), and Serendipity (winemaker Tony Rynders, formerly of Domaine Serene for 10 years). 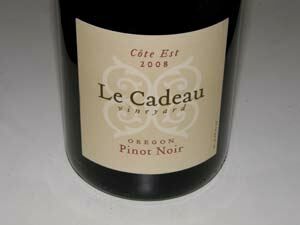 For 2009, a Red Label Le Cadeau Vineyard Pinot Noir is crafted by Jim Sanders and is offered as an earlier drinking wine at a lower price point. Le Cadeau wines may be ordered through the winery’s online store at www.lecadeauvineyard.com. There is some retail distribution nationwide as well. The website is highly informative. Visits to the vineyard are by appointment only. The Mortimers are very gracious hosts. 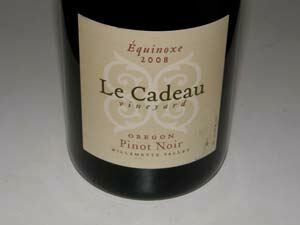 I tasted through several Le Cadeau bottlings during my visit with Tom and Deb Mortimer. Tom feels the wines take at least four years after bottling for maximum enjoyment. The grapes were picked relatively early and the wine shows a lean minerality and tobacco flavor as a result. There are some leather aromas and pleasing cherry and strawberry flavors. Decent. Vinified by Sam Tannahill. · Soft and smooth in the mouth with supple tannins and appealing herb and mineral imbued flavors of red cherries. Has the balance to age further. Good (+). Vinified by Josh Bergstrom (2004-2006 vintages). · Great nose with effusive aromas of marionberries. Delicious ripe and sweet tasting berry fruit wrapped in supple tannins and finishing on a high note with refreshing acidity. Very good. 14.1% alc., 68 cases. · Vinified by Tony Rynders. Demure, but pleasing aromas of dark red cherries and berries with a hint of spice. Well-spiced array of dark red fruits with a touch of savory herbs on the palate with bright acidity on the finish. Very good (+). 50 cases. Vinified by Jim Sanders. · A beautiful wine with shy dark fruit aromas and intense dark fruit flavors. Still evolving with the structural backbone and acidity to last. Good (+). 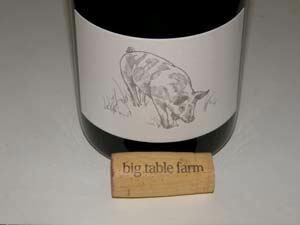 Beginning in 2007, Tom Mortimer and Jim Sanders sourced from hillside vineyards farmed by Buddy Beck and produced about 300 cases of an Aubichon Reserve Pinot Noir ($42) and Aubichon Willamette Valley Pinot Noir ($34). · Adequate, but simple and homogenous fruit flavors, finishing with a little alcoholic heat. A daily drinker. Decent. The following three wines were tasted in my usual fashion at home. I hope to re-taste them in another year or two to see how they evolve. 13.9% alc., 351 cases, $48. From the cooler east side of the property where fruit is shaded from morning sun by neighbor’s trees. Winemaker Steve Ryan. · Moderately dark reddish-purple color in the glass. The nose lacks fruit, offering scents of pine, oak, spice and cut flowers. The black raspberry and black cherry flavors have an earthy underpinning and a slight vegetal note. Smooth on the palate with a short finish. Tasted the next day from a previously opened and re-corked bottle, the wine still was rather closed with slightly more fruit showing on the nose and on the palate. Hard to judge this wine currently which showed much better 9 months ago when tasted at the vineyard. 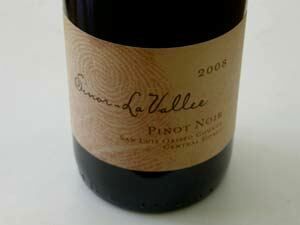 Like many Oregon Pinot Noirs from 2008, patience is advised. Good. 14.1% alc., 196 cases, $48. Winemaker Jim Sanders. Sourced from the crest of the hill where the vines receive equal sun on both sides during the day. · Very shy nose with hints of cassis and oak. Crisp and tasty with a moderately rich core of dark berry and plum fruit supported by spice. Sporting notable tannins, this wine needs more time for integration, but shows potential. Good (+). 14.1% alc., 270 cases, $48. From varied clones planted throughout the vineyard. · The aromas and flavors of this wine are buried in oak with coffee being the most prominent feature. Big-boned darker fruits are featured with flamboyant tannins. Tasted the next day from a previously opened and re-corked bottle, the wine tasted like a coffee drink. Time in the cellar should moderate the oak and allow the fruit to emerge, but this will always be an oaky wine. Decent at best currently. 13.2% alc., $39. · Moderately light reddish-orange color in the glass. Faint aromas of red berries with a floral and minty oak overtone. Light in weight with flavors of red cherries and blood oranges, sporting mild slightly grainy tannins, bright acidity and some tartness on the finish. Disappointing at this price level. Decent. 14.1% alc., $50. From a site in the Green Valley farmed by Ron Black and Stephen Bessone. · Moderately deep reddish-purple color in the glass. Opens with appealing raspberry on jam aromas, fading in the glass. The flavors are more promising, with a tasty core of Morello cherry and black raspberry, an herbal note and a good tug of citrus on the hi-wire finish. Good. 14.8% alc., pH 3.66, TA 0.63, 12 cases, $47. Picked at 27.9º Brix. Aged 11 months in 50% new French oak barrels. · Moderately dark reddish-purple color in the glass. Opens with appealing aroma of plum reduction sauce, fading into a muddled aroma of leaf and green garden with absent fruit. Moderately rich and creamy with a very ripe and sweet dark fruit profile with notes of raisin and green oak in the background. Has the bones to support the generous fruit flavors, but turns boozy on the finish. Decent (-). 14.1% alc., 2,700 cases, $42. Released January 2011. The Dierberg Vineyard is located at the southern end of the Santa Maria Valley AVA just 14 miles inland from the Pacific Ocean. · Dark purple in color in the glass. Shy fruit aromas with prominent smoky oak. A husky, full-bodied wine with generous earth-kissed black fruits underscored with flavors of tar, earth and anise holding on to the finish. Muscular with thick, rugged tannins. Should benefit from more time in the bottle, but will always be a bruiser. Good. 14.5% alc., pH 3.59, TA 0.62, $35. Aged in 35% new French oak barrels. · Moderately dark purple-red color in the glass. Aromas of black cherry, boysenberry, kirsch, toasted bread and oak char. 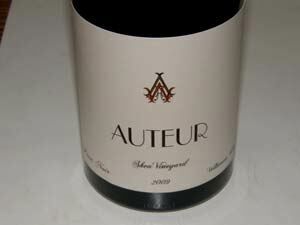 Moderately rich core of juicy dark red fruits with thick oak flavors. Decent. 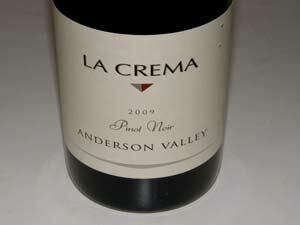 I have been impressed by the La Crema appellation series wines in the past, especially at the under $25 price point. Recently there seems to be a trend to upgrade the image of these wines. Very heavy bottles are being used and the prices now are closer to $50 than $20. 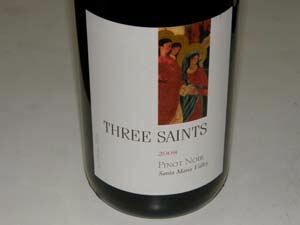 The two 2009 Pinot Noirs reviewed here were not up to past standards, despite the apparent upscale trend. 14.5% alc., pH 3.68, TA 0.52, 2,700 cases, $50. 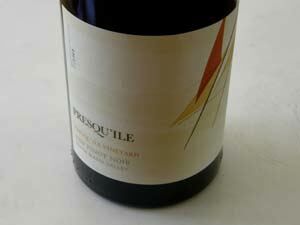 Sourced primarily from the Maggy Hawk Vineyard (close to Navarro) in the deep end of the Anderson Valley. Clones 667, 777, 115, 2A, 23, Pommard and 828. Aged 9 months in 36% new French oak barrels. · Moderate reddish-purple color in the glass. Intensely fruity nose initially displaying aromas of fruit bin and mixed berries including strawberries with a hint of vanilla fading over time in the glass. An array of tasty ripe berries is accented by a note of dark chocolate with a grip of citrus peel on the finish. Welcoming fruit intensity coats the palate and persists on the finish, but offers no nuance or intrigue. Smooth and harmonious. Over time, the wine becomes less interesting in the glass. The flavors trump the nose at this point. Worth revisiting in 6 months. Good. 14.5% alc., pH 3.72, TA 0.54, 5,800 cases, $40. Clones 667, 777, 115, Martini, 114, 23, 828 and Pommard. Aged 10 months in 51% new French oak barrels. · Moderately intense reddish-purple color in the glass. Shy nose with demure aromas of black cherries, forest floor, and oak. 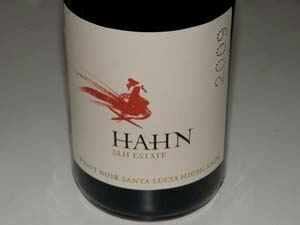 Moderately rich and weighty black cherry, raspberry, licorice and cola flavors with unbridled tannins. Slightly hot on the finish. Unchanged the following day from a previously opened and re-corked bottle. Plenty of fruit, but no finesse or nuance. Decent. 14.3% alc., pH 3.77, TA 0.61, 343 cases, $48. 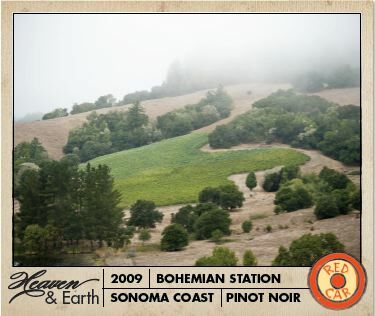 The vineyard is located on a remote hilltop 1600 feet elevation with huge daily temperature swings. 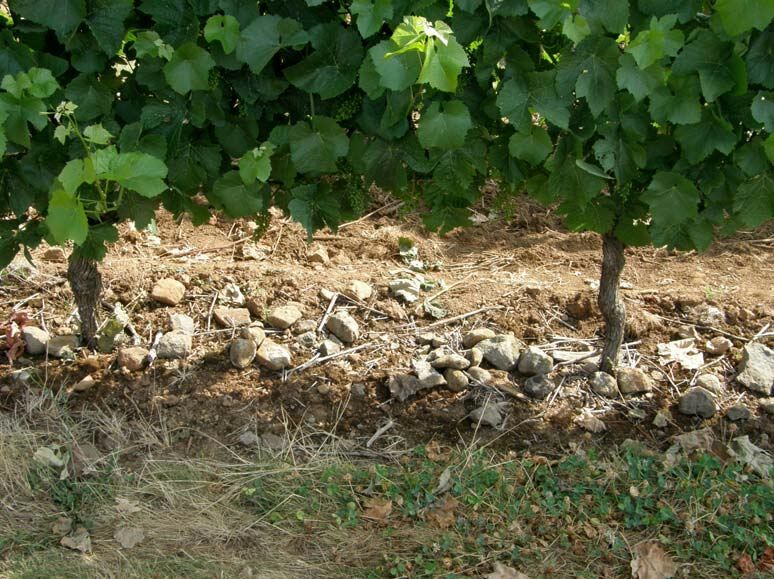 Granite and limestone soils. 10- day cold soak, native fermentation, aged 12 months in 1, 2 and 3-year-old French oak barrels. Unfined and unfiltered. · Moderate reddish-purple color with slight haze in the glass. Very ripe dark berry fruit aromas augmented by scents of shoe box, oak, and brier. Very flavorful cherry and red berry fruit under a thick blanket of tannin, persisting on the lengthy finish. A cola and spice note add interest. Still drank nicely two days after opening from a re-corked bottle. A wine with soul and vivid expression of site. Very good. 13.5% alc., pH 3.76, TA 0.61, $60. 40% whole cluster, wild yeast 18 day fermentation, aged 12 months in 1, 2 and 3-year-old French oak barrels. · Moderate purple-red color in the glass. This wine shows some acetaldehyde (rotten apple core) aromas and flavors after initially displaying aromas of dark strawberries, Asian Five Spice, and black raspberries. 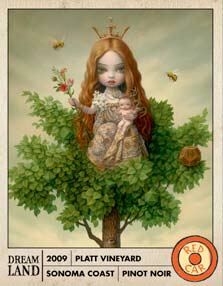 The flavors echoed the aromas initially but a spiced, oxidized apple flavor developed over time. A flawed bottle. Unsatisfactory. 14.5% alc., $40. · Darkly colored in the glass. Shy and muted fruit aromas which emerge slowly with swirling. Full-bodied essence of black cherries and boysenberries with a hint of oak spice. Soft in the mouth with dry, youthful tannins. A little more expressive the following day from a previously opened and re-corked bottle. Big bottle, big fruit, big tannin but doesn’t deliver much interesting flavor or nuance. Decent. 15.3% alc., 235 cases, $45. · Moderate reddish-purple color in the glass. Initially the nose is quite fruity displaying aromas of black cherries, dark plums, and black raspberries. Over time in the glass, the fruit recedes to the background and oak takes over. Full-bodied flavors of blueberries and black cherries which are on the ripe side. Underpinnings of oak spice and oak char are a bit intrusive. The fruity finish is noticeably dry and tannic leaving some heat in its wake. Decent. 13.3% alc., 92 cases, $38. The fruit is primarily from the Johan Vineyard. 75% whole cluster, native yeast fermentation, aged 10 months in one new and two used French oak barrels. · Moderately light reddish-purple color with a slight haze (unfiltered) in the glass. Aromas of berry patch, farmyard, smoke, tar and pine. Medium weighted flavors of blueberries, cherries and boysenberries with hints of cola and a fairly strong tarry note from the whole cluster. Supple, fine-grain tannins with a soft mouth feel. Tasted twice a few months apart. Decent. 14.5% alc., $36. · Moderate reddish-purple color in the glass. Alluring aromatics displaying scents of black cherries, violets and a hint of oak spice picking up intensity over time in the glass. 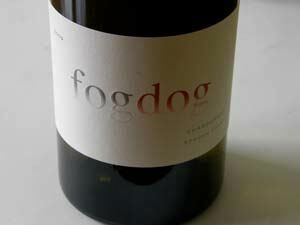 A fruity wine with a tasty core of cherry and berry fruit accented by oak-driven flavors of anise, vanillin and smoke. A good snap of acidity brings up the refreshing finish. 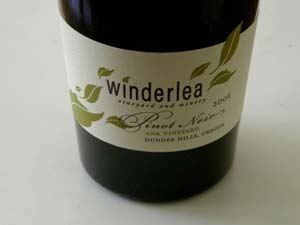 The most approachable of the three 2008 Winderlea wines. Still fine two days later from a previously opened and re-corked bottle indicating it will last in the cellar. Good (+). 13.5% alc., $50. Own-rooted vines planted in 1976 on a 350’ to 450‘ ridge. Pommard and 777 clones. Owned and farmed by Andy Humphrey. · Moderately light reddish-purple color in the glass. Nicely perfumed mix of berries with a strong scent of oak. Tasty core of red strawberries and raspberries and chocolate-covered cherries with an underpinning of oak char that fans out on the palate. Still a bit rough hewed and tannic, but offers some charming fruit that has good persistence. Should improve in the cellar as the tannins meld and the oak integrates further. Very good. 13.3% alc., $53. From a 20-acre estate vineyard planted in 1974 (formerly Goldschmidt Vineyard). 480 foot elevation, southwest exposure, Jory soils. · Moderately light reddish-purple in the glass. Shy dark red fruit aromas with hints of baking spice, dried herbs and oak. Delicate flavors of red cherries, cranberries and red currants finishing with a hint of oak, green herbs, spice and grapefruit peel. A bit shallow on the mid palate and finish, leaving you wanting more. Soft and silky in the mouth with a lively grip of acidity. Picks up some charm over time in the glass. Still holding its own two days later from a previously opened and re-corked bottle. Tasted twice with consistent results. Good (+). You can’t argue with Meadows’ statement above, but sometimes you are not compelled to drink an epiphany. There are times when you are looking for a Pinot Noir that you can buy by the case, drink it without impunity in a casual setting, and not feel obligated to critique the wine. Here is an analogy: if you are a foodie, you love to have a gourmet meal on occasion, but there are times when an In-N-Out burger will do just fine. Because there is plenty of excess Pinot juice available, and because the recent recession has pinched many wineries, negociant labels have been able to pick up some pretty solid wine and produce inexpensive Pinot Noir that taste very decent. Many premium wineries have launched second value-priced labels as well which have become popular. In addition, some wineries have chosen to concentrate on the under-$20 market. Inexpensive wines do not have layers of aromatic and flavor interest and long, generous finishes, but they can work beautifully as daily drinkers and back porch wines. According to Wines & Vines (May 2011), Pinot Noir, along with Pinot Gris, was the biggest selling varietal priced between $11 and $14.99. 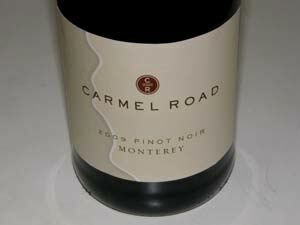 In this issue, also look at the 2009 Carmel Road Monterey Pinot Noir ($20). 13.8% alc., $8.50. Small tank fermentation, punch downs, pressed lightly and aged for 8 months in French and Hungarian oak. · Moderately light reddish-purple color in the glass. Shy aromas of red cherries, strawberries and oak vanillin. Lightly fruited, but tasty melange of red cherries and berries with oak in the background. Mild fine-grain tannins with balanced acidity. Well worth the tab. Good. 12.5% alc., pH 3.56, TA 0.56, Glucose/ Fructose 4.25 g/L, $10. From Bronco Wine Company. Winemaker John Allbaugh. · Faint perfume of dark fruits. 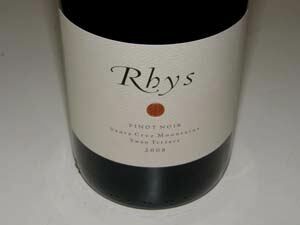 Fairly rich and tasty core of plum and blackberry flavors with some oak in the background. Mildly firm tannins provide structure and restrained oak contributes interest. 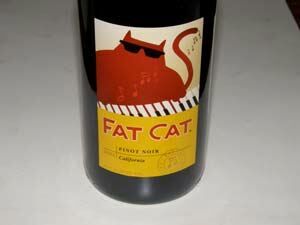 Not easily recognizable as Pinot Noir, but a casual and mellow drink that matches the jazz theme on the label. Decent. 13.9% alc., $18. · Moderate reddish-purple color in the glass. Lacks fruit on the nose, offering only aromas of oak, pine sap and savory herbs. Moderately rich core of dark red stone fruits wrapped in soft tannins. Prominent oak presence evidenced by vanillin and assertive herbs carries over on the finish. Decent. 14.5% alc., 1,215 cases, $19, screw cap. 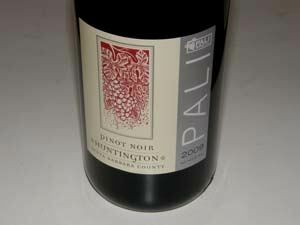 Part of Pali Wine Co.’s Cuvée Program of appellation-specific Pinot Noir using purchased grapes declassified from the premium wine lineup. Aged 15 months in 30% new French oak barrels. · Moderately intense color in the glass. The aromatics are striking with a plethora of black cherry, black raspberry and spice box aromas veering to the riper side. Modestly intense flavors of black cherries, dark berries and black currants with a smoky edge. The fruit closes in on over ripeness. Juicy with restrained tannins and a lingering note of cherry on the fruity finish which could use an acid uplift. Decent (+). 14.1% alc., $19.95. Second label from Eric KentWine Cellars. · Moderate reddish-purple color in the glass. Nicely perfumed with aromas of black cherries, spice box, oak and baked cookies. Medium weight core of tasty dark cherry and blackberry fruit with a hint of mocha in the background. The velvety texture is appealing, but the alcoholic finish detracts. Good acidity and mild tannins. A reasonably good daily drinker in an attractive package. Good (-). 14.4% alc., $14. · Medium purple-red color in the glass. Demure aromas of dark red fruits including strawberries with hints of redwood and spice. Veers to an over ripe flavored array of dark red Pinot fruits including strawberries, cherry skins and raspberries. Restrained tannins make for easy drinking. A subtle greenness scars the finish which is short. Decent. 14.1% alc., $17. A barrel selection. · Moderate reddish-purple color in the glass. Aromas of dark red berries, black cherries, vanilla and sandalwood. 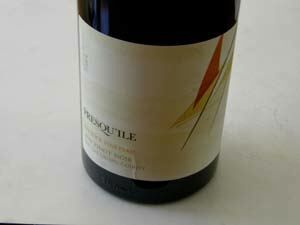 Reasonably complex with an array of flavors including black raspberries, black cherries, tea leaves, and grilled meat. A little too much oak detracts. Very dry tannins and finish. Might benefit from more aging or decanting. Decent (+). 14.0% alc., $18, screw cap. · Moderately light reddish-purple color in the glass. Aromas of tobacco smoke and burnt wood. The fruit has a burnt quality and is unpleasant. A flawed wine. Unsatisfactory. 14.1% alc., 2,500 cases, $24, screw cap. Released February 2011. · Dark ruby color in the glass. Scent of black cherries, toasty oak and pencil lead. Middle weight flavors of blackberries, black grapes and dark plums with underpinnings of toasted oak and tobacco. Nicely composed and easy to drink. Decent. 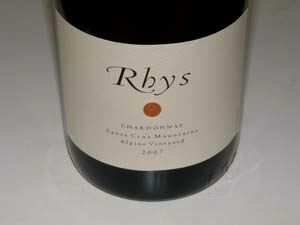 Good California Chardonnay is ubiquitous, and great California Chardonnay is out there if you know where to look for it. Chardonnay is California’s most widely planted grape (90,000 acres) and is the most popular wine varietal among American consumers. Chardonnay thrives in eight California appellations known for Pinot Noir (Sta. Rita Hills, Santa Maria Valley, Santa Lucia Highlands, Santa Cruz Mountains, Carneros, Russian River Valley, Sonoma Coast, and Anderson Valley), with stunning examples showing up from lesser-known regions as well such as the Mendocino Ridge AVA. My personal taste veers toward barrel-fermented Chardonnay, but with appropriate foods, I can easily be satisfied with a stainless steel-fermented style. 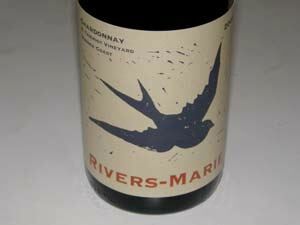 Chardonnays from cooler regions of California tend to have more restraint and mineral-infused acidity. 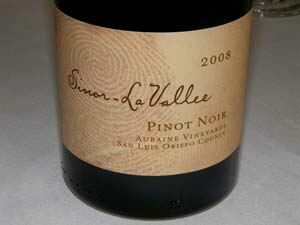 Those from warmer regions such as the Russian River Valley veer toward richer, more tropical-fruited offerings. The following wines have all been sampled within the last two months. 14.1% alc.,pH 3.47, 378 cases, $38. 100% barrel fermented, 50% MLF. Aged 10 months in 40% new and 60% one and two-yearold French oak barrels. · Aromas of grilled pineapple, baked pear, lime, sawdust and hay bale. The flavors echo the nose with added notes of baked apples and lemon zest with a faint woody note. Nice harmony and well-crafted, but the aromatic profile is strange. Not nearly as good as a bottle I had last year that I rated highly. Decent. 14.3% alc., $38. · Very shy aromas of apple, pear and honey. Restrained and lean with demure flavors of Asian pears, white peaches and vanilla caramel. Smooth and silky and easy to cozy up to. Good (+). 15.8% alc., $80. · Golden yellow with a slight green caste and very slight haze in the glass. Prominent aromas of baked apples and pears and buttery oak. A feast of baked pears, apple pie, roasted nuts and butter brickle, richly presented with an impressive fruit intensity on the big finish. Better the next day from a previously opened and re-corked bottle. Alcohol peaks out on the finish as the wine warms in the glass. 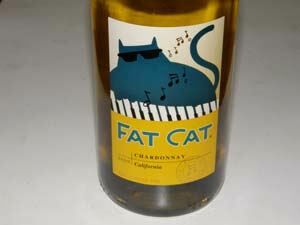 This is a hedonistic style of Chardonnay best enjoyed by itself. Regrettably, although the higher alcohol adds body and texture, it limits the amount you can drink. Best to sip. Very good. 14.2% alc., $32. · Light straw color in the glass. Bright aromas of baked apples, butterscotch and banana peel. 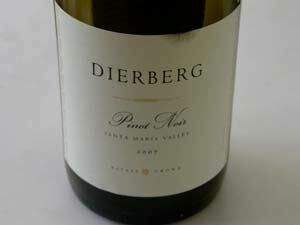 Moderately light in style with mildly creamy flavors of green apples, white peaches, vanilla, caramel and brioche. Clean, sharp, focused. Good. 12.5% alc., pH 3.34, TA 0.62, Glucose/ Fructose 8.47 g/L, $10. · Very shy nose with faint aromas of green apples, pears, and oak vanillin. An easy drinker with pleasant and confected flavors of pears, toffee, green apple candy, and spice. A respectable “chick” quaff, especially when chilled, that has low alcohol and will please the crowd of wine drinkers who like residual sugar in their Chardonnay. Not for connoisseurs. Decent. 13.5% alc., $35. 42% Pastorale Vineyard and 58% independent growers. 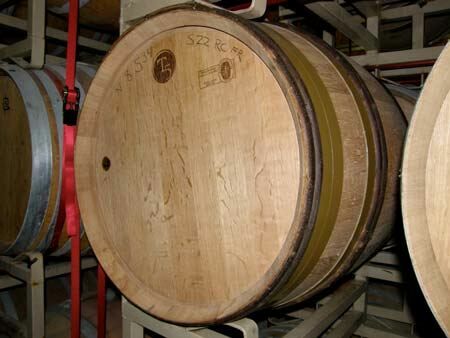 Aged 12-14 months in 35% new and 65% 2 to 3-year-old French oak barrels. · Light straw color and clear in the glass. 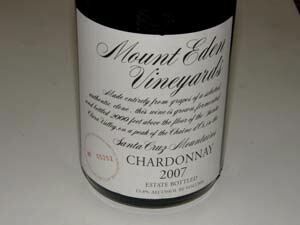 Classic Chardonnay aromas of pears, lemon curd, guava and buttered brioche. Tasty and moderately rich core of pear, citrus, green apple, caramel and butter flavors with a refreshing lift of acidity on the bright finish. A thoroughly pleasing drink that sings with quality. Very good. 14.5% alc., pH 3.53, TA 0.59, $25. Aged in 42% new French oak barrels. · Light straw color and clear in the glass. Fragrant with aromas of golden apples, apple crisp, pears and butter with a heavy nod to oak over time in the glass. Tasty array of flavors including baked apples, pastry cream, toffee and vanilla. A solid drinker. Good. 14.0% alc., $44. Fermented and aged in glass, stainless steel and oak. All estate fruit. · Very fragrant with scents of apple pie, brioche, yeast and wet rocks. Crisp and juicy with flavors of white peaches, apples and yeast with apple hi-notes persisting on the acid-driven and minerally finish. Very good. 12.6% alc., pH 3.46, TA 0.66, $35. A mountain top vineyard at 1600 feet elevation. Wente clone on original rootstock planted in 1982. 40 degree diurnal temperature swings, late harvest dates, low yields. Whole cluster pressed and cold fermented in stainless steel only. Wild yeast fermentation and natural MLF. Aged 6 months with fine lees contact. Unfined and unfiltered. · Faint straw color in the glass. Aromas of canned peaches, green apple and hay bale. 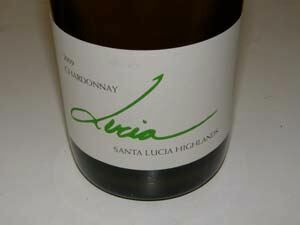 Crisp and minerally flavors of green apples, lime and lemon, and pear, with a nutty note in the background. Bright acidity, slightly tart, with an hi-strung finish. Would have liked some oak on this fruit. Good (+). 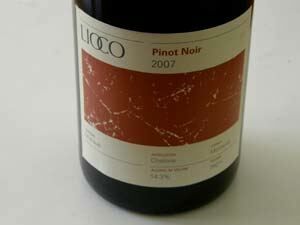 Note: I really like the back labels of LIOCO wines which provide all the information you want with no fluff. 14.1% alc., $35. From three small blocks at Pisoni Vineyards. Few connoisseurs are aware of the tiny parcels of Chardonnay on the property. Originally planted in 19082, these old Chardonnay vines prosper in the cool climate. · Medium straw color in the glass. Aromas of ripe pears, pineapple and honeyed biscuit. Delicious baked pear, apple pie and toasted brioche flavors with a citrus high note in the background. Smooth and silky with some persistence on the finish. A warmer climate style not particularly high in acid or minerality but thoroughly delightful. 14.1% alc., 435 cases, $40. Produced from three small blacks at Pisoni Vineyard planted in 1982 using a prestigious Montrachet selection from a famous producer in Burgundy. Unfiltered. · Light golden straw color and clear in the glass. Nicely perfumed with aromas of pears, papaya, banana and brioche. Delicious flavors of pears, creme brulee, white peaches and light caramels. Soft and slight creamy with no hard edges and commendable balance. Fruit is emphasized over acidity. Will have many fans. Very good. 13.8% alc., 1,375 cases, $42. · Moderate straw color in the glass. Aromas of fresh-picked apples and toasty oak. Flavorful, mildly creamy and smooth with impeccable balance and breeding. Delicious flavors of baked apples, pears, citrus, honey and vanilla caramel. 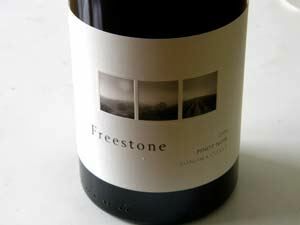 Restrained and nuanced, becoming more layered and interesting with time in the glass. A California classic that will age for years. 14.3% alc.,TA 0.725, $35. 60% Solomon Hills Vineyard and 40% Bien Nacido Vineyard. Clones 4, 96 and 95. Aged 14 months in 8% new French oak barrels. · Light straw color and clear in the glass. Aromas of tropical fruits and banana. Restrained, but pleasing flavors of apples, ripe pears, and jackfruit. Balanced and easy to drink. 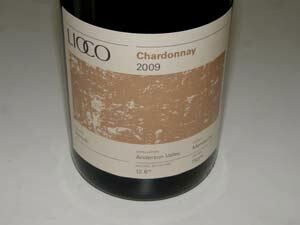 A mainstream Chardonnay that works as a daily drinker and will compliment many foods because of its vibrant acidity. Decent (+). 13.9% alc., 116 cases. Aged in 60% new French oak barrels. 100% MLF. · Honey color (second to some botrytis) and clear in the glass. Faint aromas of apple crisp and toasty oak. Delicious and complex with vivid flavors of baked pears, baked apples, honey, yeast, creme soda, toasted coconut and some citrus peel bringing up the finish. Many of the flavors upon opening are oak-driven but tasted the following day from a previously opened and re-corked bottle, there was more aromatic interest and less oak influence. Nicely balanced and very smooth on the palate with a good grip of acidity. A unique Chardonnay that will please the adventurous. Cellar or decant if you drink now. Very good. 13.7% alc., $59. Clones are Hyde, Wente, 76 and 96 planted at 1380 feet elevation. Soils are 24” top soil over soft shale. Yield 1.28 tons per acre. · Light straw color in the glass. Crisp aromas of crushed rocks, metal shavings, flint, Asian pear and green apple. A restrained, classic style with flavors of green apple, lemon, and flint, enlivened by a good grip of acidity, finishing bone dry. 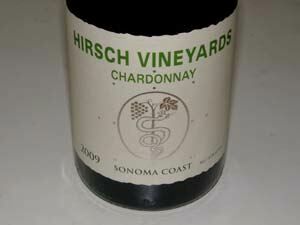 A sophisticated and terroir-driven Chardonnay distinct from the commonplace California fruit and oak-driven style. Tasted two days later from a previously opened and re-corked bottle, the wine was fresh, crisp and taut. Burgundy nuts will go ga-ga over this wine. 14.1% alc., pH 3.60, TA 0.70, 200 cases, $35. The winemaker is Ryan Zepaltas (Zepaltas Wines). Owners Andy Carciere and John D. Suacci. 50% fermented in stainless steel and 50% fermented in French oak. 100% MLF with aggressive lees stirring. Aged 11 months in barrel. · Light straw color and clear in the glass. Appealing scents and flavors of tropical fruits including pineapple and an array of lemons. Slightly rich and creamy, with just the right dose of oak to add a subtle brioche, vanilla and butter undertone to the sprightly and minerally citrus notes. 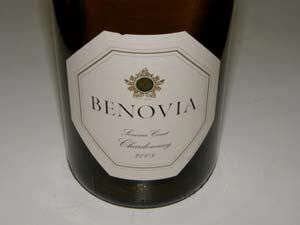 Heintz Vineyard, regardless of who is making the wine, consistently produces some of California’s greatest Chardonnays. The name of this vineyard on a bottle is a badge of quality. 12.9% alc., pH 3.36, 525 cases, $35. Released April 2011. A new venture from Pam and Pax Mahle. Wente clone (33+ years at Brosseau Vineyard and 45+ years at James Berry Vineyard). 60% fermented with natural yeasts in concrete egg-shaped tanks with remaining 40% whole cluster pressed and fermented in stainless steel. MLF in multiple use French oak barrels. · Very light straw color in the glass. A delicate, lean wine offering scents and flavors of citrus fruits, pear and papaya. A Rhone-style white wine with bright acidity and no oak influence that is simple. Will work as an aperitif. Decent. In a recent issue of the PinotFile (princeofpinot.com/article/1063/), I wrote about the debut of Burn Cottage Vineyard Pinot Noir from Central Otago, New Zealand. This 68-acre estate near Cromwell has just over 27 acres under vine and has been farmed biodynamically from the beginning. Ted Lemon (Littorai) is the consulting vineyardist and winemaker who has directed the biodynamic program from the beginning. 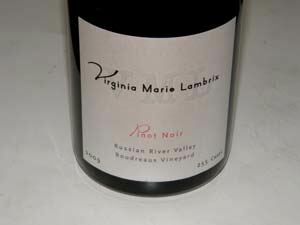 The owners, Marquis and Dianne Sauvage, have recently released their Pinot Noir from the 2009 vintage and recently sent my a sample to review. I was extremely impressed and have included my comments below. The wine is imported to the US and on retail shelves now. 14.0% alc., pH 3.61, TA 0.56, 1,136 cases, $50. 11% whole cluster. Aged in 38% new French oak and 21% stainless steel barrels. · Moderate reddish-purple hue in the glass. Opens slowly in the glass, and was much more expressive both aromatically and flavor wise the following day from a previously opened and re-corked bottle. Fragrant with aromas of red plums, black cherries and spice box. Lovely flavors of Bing cherries and dark red raspberries with complimentary oak in the background that is a bit intrusive at this young age. Plenty of charm and elegance with a soft, smooth mouth feel and a spring to its finish. Needs more time in the cellar. Very good. Total Wine & More is advertised as America’s Wine Superstore, offering 8,000 wines, 3,000 spirits, and 2,500 beers at its large warehouse sized stores. 71 stores are operational in ten southwestern and southeastern states including high penetration in California. Today’s Los Angeles Times features a full page cover ad announcing the opening of two additional Southern California “superstores.” The firm was started in 1991 by David and Robert Trone who initially opened two wine stores in Delaware. 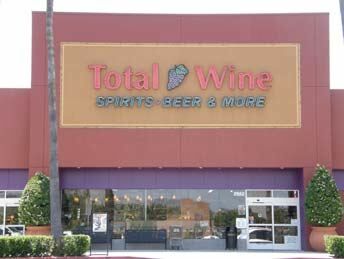 Total Wine & More is now the largest independent wine retailer in the United States. They carry a vast selection of both domestic and imported wines, with about half of sales from each category. A 20,000 square-foot store opened a couple of years ago near me in Tustin, California. At first I was adverse to the concept, overwhelmed by the sheer size of the store and assumed the wines would be primarily supermarket variety. 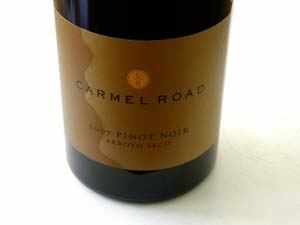 I was surprised to find they carried an extensive variety of top quality Pinot Noir from California and Oregon including labels such as Alma Rosa, Anam Cara, Argyle, Adelsheim, Archery Summit, Au Bon Climat, Brewer-Clifton, Calera, Cristom, Domaine Serene, Donum Estate, Etude, Hanzell, Hitching Post, Loring Wine Co., LIOCO, Miura, Saintsbury, Sanford, Siduri and Testarossa. They do not always carry the latest releases and do not have the complete offerings from a winery for a given vintage, but the selection is impressive. 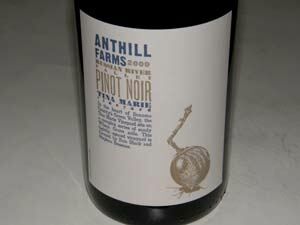 They also carry a wide variety of inexpensive Pinot Noirs in the $5 to $13 range including labels like Angeline, Bearboat, Castle Rock, Courtney Benham, Echelon, Irony and Muirwood. A number of inexpensive foreign imports from Italy, Corsica, the Languedoc, New Zealand and Australia of dubious quality are also offered. The point is, you have to know what’s good. The Chardonnay selection is equally impressive and I have found examples from many noted premium California producers (Dehlinger, Hanzell, Ramey). This is not a discount operation as prices are comparable to local wine speciality retailers. Total Wine & More does, however, offers incentives by publishing coupons in newspapers. The current offering is for $10 off every $50 spent, a savings of 20% (some items are excluded). 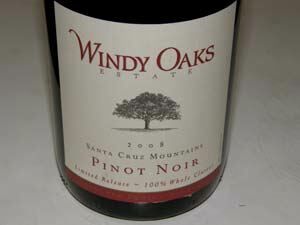 I compared prices on fifteen premium Pinot Noirs with the prices at a local, well-known and highly regarded wine store. The wines included 2008 Belle Glos Clark & Telephone, 2008 Bergstrom Cumberland Reserve, 2008 Domaine Drouhin Oregon, 2008 Foxen Bien Nacido Block 8, 2009 Ken Wright (various), 2008 Loring Wine Co. Graham Family Vineyard, 2008 Siduri Santa Lucia Highlands, 2008 Penner Ash Willamette Valley, and 2008 Ponzi Reserve. The prices at Total Wine & More were the same for 80% of the wines, and a couple of dollars more expensive or less expensive for the other 20%. So, although Total Wine & More advertises “Lowest Prices,” for most wines this is not true unless a coupon is used as a discount. When I have been in the local Total Wine & More, I noticed that most people are using grocery shopping carts and loading them up with wines, often buying a few cases at a time. I never see this at a fine wine store where hand baskets are the usual mode of shopping. People buy in quantity here. A 119-page buying guide listing all the wines for sale with some brief information on some of the wines and scores from the usual sources are included. An impressive Total Guide to Wine is also published and given away at the stores. The store advertises “great customer service,” but since I do not ask for buying advice, I cannot verify this claim. There are a number of shelf talkers that are rather generic in nature and bland in style that promote certain wines, and some talkers that are written by employees with their photos displayed. What is the point of this? I see this as a serious threat to specialty wine retailers who usually provide more personal assistance, offer wines that in most cases have been tasted and evaluated by the staff, host extensive educational tastings, and spend considerable time in composing informative newsletters and mailings regarding their stock of wines. In the long term, with Total Wine & More stores appearing in many neighborhoods and with their advertising power, they are threatening to dominate the retail wine market. Many small retailers will simply not be able to compete. 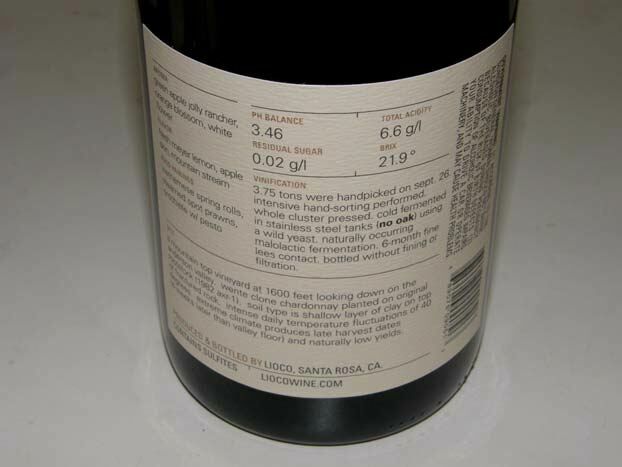 In the past, specialty wine retailers were able to offer wines that were not available to general retailers, and in some cases they still do, but Total Wine & More, as I detailed above, now offers many of these limited production labels. The large retailers, with their buying and advertising clout, whether for groceries, clothes, and electronics or other commodities, threaten the existence of the independent business person and sadly will continue to do so. Curtis John Marsh, who writes The Wandering Palate (www.thewanderingpalate.com) and recently reported on Allen Meadows and Ted Lemon visiting Singapore (www.burghoundinasia.com) send me a press release on the DRC vs The World Blind Tasting Results. This was one of the highlights of the Burghound in Asia event. On Friday, April 8, 2011, wine connoisseurs gathered at the St. Regis Hotel in Singapore for a two-hour tasting of Domaine de la Romanee Conti served with wines from four other wineries from America, Australia, Austria and New Zealand. There was much conjecture, and to a degree, misinterpretation of the objectives of this controversial tasting. This was the first ever structured comparative consumer-driven tasting of this genre to be held in Asia, and perhaps the world. There were 12 tables seating 9 participants made up of 8 consumers and 1 wine professional. The professionals include Andrew Jefford (UK), James Halliday (AUS), Allen Meadows (USA), and Singapore based Lisa Perrotti-Brown MW, Suzanne Brocklehurst and Ying Hsien Tan. Allen Meadows did not participate in ranking the wines and none of the professionals were involved in any way with organizing the tasting. Guest winemakers included Sam Neil (Two Paddocks, Central Otago), Josh Jensen (Calera Wine Co., USA), Veronique Boss-Drouhin (Maison Joseph Drouhin, Burgundy, France, and Domaine Drouhin Oregon, USA), and Francois Labet (Chateau de La Tour, Burgundy, France). A total of 88 legitimate preference score sheets were collected. There were 3 brackets of 5 world-class Pinot Noirs (15 in total) served half-blind (tasters knew the variety was Pinot Noir and that one DRC wine was in each bracket). The 100-point scoring system was used with their scores converted to a ranking from 1 to 5. The results were monitored and audited by a senior accountant from Ernst and Young. The wineries chosen for the tasting were: Felton Road (Central Otago), Bass Phillip (Victoria, AUS), Domaine Serene (Oregon), Markowitsch (Austria), and Domaine de la Romanee Conti (Burgundy). All the wines were sourced direct from the wineries, or in the case of DRC, direct from their official suppliers. Multiple Wineries Change Ownership Boisset Family Estates has added Buena Vista Carneros to its growing collection of wineries. Boisset already owns DeLoach Vineyards (Russian River Valley), Lyeth Estate (Alexander Valley), and Raymond Vineyards (Napa Valley). • The Vincraft Group, a Sonoma-based wine company, bought Gary Farrell Winery from Ascentia Wine Estates. In 2009, Vincraft made its first investment with the acquisition of Kosta Browne Winery. • Bill Foley continued to add to his winery portfolio with the purchase of Te Kairanga Wines, a 70,000 case winery in Martinborough, New Zealand. Foley Family Wines was established in 1996 with the acquisition of Lincourt Vineyards in the Santa Ynez Valley. Foley Family Wines produces nearly a million cases of wine annually. 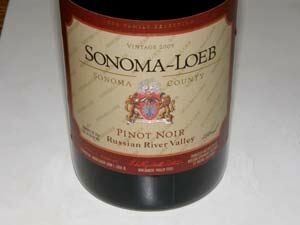 • Sonoma-Loeb was sold to Chappellet Vineyards. Kosta Browne to Build Winery in Downtown Sebastopol A new modern winery is to be built in The Barlow, located in the center of downtown Sebastopol. 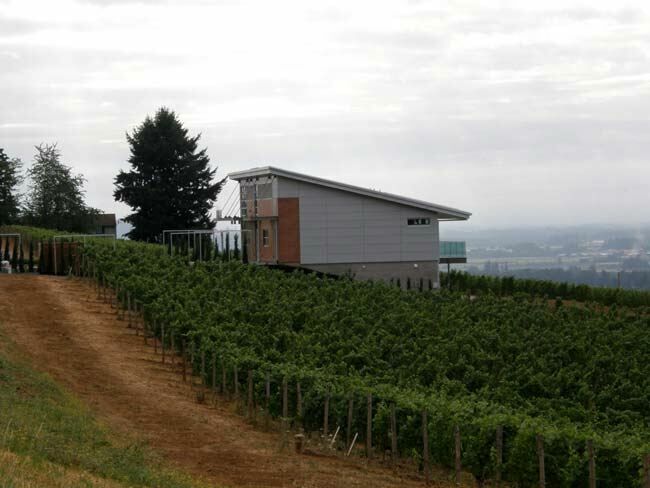 The opening of the new facility will mark Kosta Browne as the first bonded winery within the city limits. Grand opening is slated for fall 2012. The former Barlow Apple Factory is being reinvented to feature both production and retail for artisan wine, food and art producers. In addition, Sebastopol Farmers Market will be relocated to the site. Kosta Browne will more than double its space, from 18,000 square feet now to 45,000 square feet. The plan was to build big so they would never have to move again. The new winery will be in a much more public spot, but there is no plan to open a tasting room and Kosta Browne will continue to be open for visits by members of the mailing list by appointment. Changes at San Francisco’s Press Club The management of the urban tasting room, Press Club, has moved in a new direction and the founding wineries (Chateau Montelena, Hanna, Landmark, Fritz and Lost Canyon, Miner Family, Mount Eden, Pahlmeyer, and Saintsbury) will no longer have tasting bars at the Press Club. The venue will host visiting vintners who will rotate monthly to feature their wines. 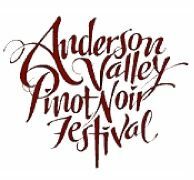 Anderson Valley Pinot Noir Festival The 14th Annual Festival will be held May 20-22, 2011, in Anderson Valley, California. Friday morning’s Technical Session will be followed in the afternoon with a Consumer Session that includes a Panel Discussion of Ferrington Vineyard, a tasting hosted by Karen MacNeil and a “Drink Pink” focus tasting. The Grand Tasting will be at Goldeneye Winery on Saturday from 11:00 to 3:00. Local Anderson Valley Open Houses will be held all day Sunday. Visit www.avwines.com for information and tickets. Marin County Wine Celebration The 7th Annual Marin County Wine Celebration will be held Saturday, June 11, 2011, at the historic Escalle Winery in Larkspur. The event benefits the Marin Agricultural Land Trust. Tickets are $55 and include valet parking and a wine glass. Featured wineries include Couloir Wines, DeLoach Vineyards, Dutton-Goldfield Winery, Pey-Marin Vineyards, Vision Cellars, Willowbrook Cellars, Kendric Vineyards and Sean Thackrey. A selection of locally produced foods including cheeses will be offered. Visit www.malt.org to obtain tickets. Pinot Days San Francisco The 7th Annual Pinot Days San Francisco will be held June 18, 2011. The Grand Festival at Fort Mason will feature over 200 producers of Pinot Noir from California and Oregon. This year’s Producer Spotlight tasting will feature Williams Selyem. Other seminars and tasting are planned as well. 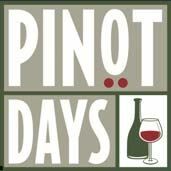 Visit www.pinotdays.com for information including a list of participating wineries, and to obtain tickets. Flash Wine Sale Sites the Rage Flash wine sites on the web offering discounted wines have become big business over the past two years. The sites offer consumers small amounts of wine at discount. The offers typically last only a day encouraging buyers to rush to the opportunity for a significant discount (25%-50%). According to www.businessinsider.com, one of the most successful flash wine sale sites, Lot 18, which sells premium wines, is generating 7-figure sales every month. Launched only a little over six months ago, Lot 18 now has more than 220,000 registered users, 44 employees and 35 open positions. According to the New York Times, flash sales allow wineries to unload large amounts of wine in a very short time. The sites either sell the wine and let the winery do the order fulfillment and shipping, or the site buys the wines and fulfills the orders themselves. Other sites include: Wine.Woot, WineShopper, The Wine Spies, Cinderella Wine, Wines Til Sold Out. For more information, visit the Wines & Vines website: www.winesandvines.com/template.cfm?section=features&content=87153&ftitle=How %20Wineries%20View%20Flash%20Sales. Dispute Over Oregon Winery Restaurants House Bill 3280 recently passed that allows wineries in Oregon that produce 150,000 gallons of wine a year the right to operate an on-premises restaurant. There are a number of activists opposed to this bill as well as smaller wineries which would not be granted the opportunity to have a restaurant. 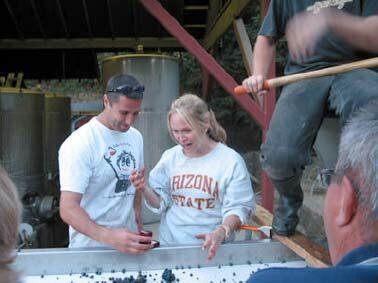 Melissa Stackhouse New Winemaker at J Vineyards & Winery Winemaker George Bursick has left J to concentrate on Bursick Wine Consulting and has been replaced by another veteran winemaker, Melissa Stackhouse, formerly the Pinot Noir Winemaster for Jackson Family Wines. 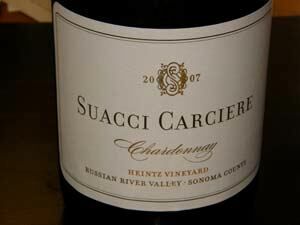 Stackhouse is a graduate of University of California at Davis and was the winemaker at La Crema from 2003 to 2010. She plans to build on the new estate-driven varietal wine program started at J in 2006. Mothers Turning to Wine An interesting report in The Washington Post (April 27, 2011) indicated there is an upswing in wine drinking among mothers. 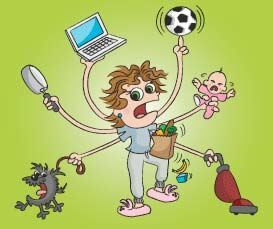 Marile Borden, who runs the website, Moms Who Need Wine (www.momswhoneedwine.com), has 390,000 fans on Facebook. Producers have caught onto the trend as well, with California’s Clos LaChance producing a MommyJuice Chardonnay and red blend (www.mommyjuicewines.com), and the Mommy’s Time Out brand (www.mommystimeoutwine.com), offering a line of Italian wines imported by Selective Wine Estates and include a Pinot Grigio and a red wine. Both company’s wines are priced at $9.99. The idea behind the trend is the desirability of having a glass of wine at the end of the day to relax and unwind away from the children who are either preoccupied with television or in bed. First iPad Wine Magazine The first wine magazine designed specifically for the iPad, By the Grape, has debuted. It costs $3.99 and can be downloaded now at the iTunes App Store. Derrick Neleman, founder of www.bythegrape.com, is the publisher of the new magazine offering ad-free content. Currently, the magazine contains a documentary on Jancis Robinson along with other embedded video, photos and links. BottleHood Recycles Wine Bottles Wine, beer, liquor and soda bottles from restaurants, bars and events are recycled into tumblers, juice glasses, vases, pendant beads and light fixtures. Based in San Diego, California and Boulder, Colorado, the eco-friendly items are available at local retailers and may be bought online at www.store.bottlehood.com. Hanzell Vineyards Partners with Premier Wine Country Culinary Camp Hanzell is partnering with Sonoma’s Ramekins Culinary School & Inn for a Culinary Camp on June 27-July 1, 2011 and October 17-21, 2011. These intensive 4-day Camps, limited to 10 students, include instruction on advanced culinary techniques featuring locally sourced ingredients. Guest chefs will participate and trips to local wineries and sustainable farms will be included. A private dinner at The French Laundry and a special tour of Opus One are included. For details, visit www.ramekins.com. Not a week passes without an enthusiastic article in the wine press on the potential wine market in China. The opportunity to sell American wine to China’s newly affluent consumers is substantial, but there is one hitch that has not been publicized: the Oriental Flushing Syndrome. 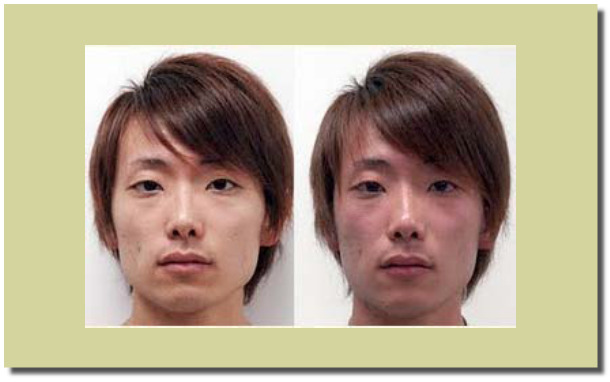 25%-50% (the figure is variously reported in the medical literature) of Chinese suffer from the Oriental Flushing Syndrome (Red-Face Syndrome or Asian Glow). Hundreds of millions of Chinese have a mutation in the gene for aldehyde dehydrogenase-2 isoenzyme, ALDH2, needed to metabolize ingested alcohol. This mutation is rare outside of East Asian populations, except in the Polynesian people. Two enzymes in the liver sequentially metabolize ingested alcohol: first, alcohol dehydrogenase (ADH) converts alcohol to acetaldehyde and second, aldehyde dehydrogenase (ALDH) degrades acetaldehyde to carboxylic acids which then leave the liver and are metabolized by muscle and heart tissue in the body. Acetaldehyde is similar to formaldehyde and is very toxic and carcinogenic. Carboxylic acids such as acetic acid are harmless. ALDH2 is crucial to maintaining low blood levels of acetaldehyde during ingestion of alcohol. High levels of acetaldehyde, which can be reached quickly with small amounts of alcohol ingestion in susceptible Chinese, cause facial and body flushing, heart palpitations, reduced blood pressure, nausea, headache, drowsiness, and the symptoms associated with a hangover. Also known as Asian Flush, this is often a source of embarrassment, and coupled with the unpleasantness, deters sufferers from drinking wine. The Chinese with the ALDH2 mutation are at significantly higher risk for esophageal and oropharyngolaryngeal cancers. Acetaldehyde, which has been shown to be carcinogenic in laboratory animals, is produced in saliva when drinking alcohol. The Chinese who are homozygous for the ALDH2 mutation have almost no ALDH activity and are at greatest risk for cancer. Those that are heterozygous have reduced activity, but this group can develop a tolerance to the adverse effects of acetaldehyde making them also at high risk for esophageal or oropharyngolaryngeal cancers. In addition, a large percentage of Chinese smoke cigarettes which compounds the risk. Cigarette smoking increases acetaldehyde levels in saliva and those with ALDH2 deficiency cannot clear salivary acetaldehyde properly. So, although the potential market for wine sales among China’s newly affluent consumers is large, up to half the population who suffer from the Oriental Flushing Syndrome will be unable or unwilling to drink wine. The avoidance of wine for health reasons makes this imperative.